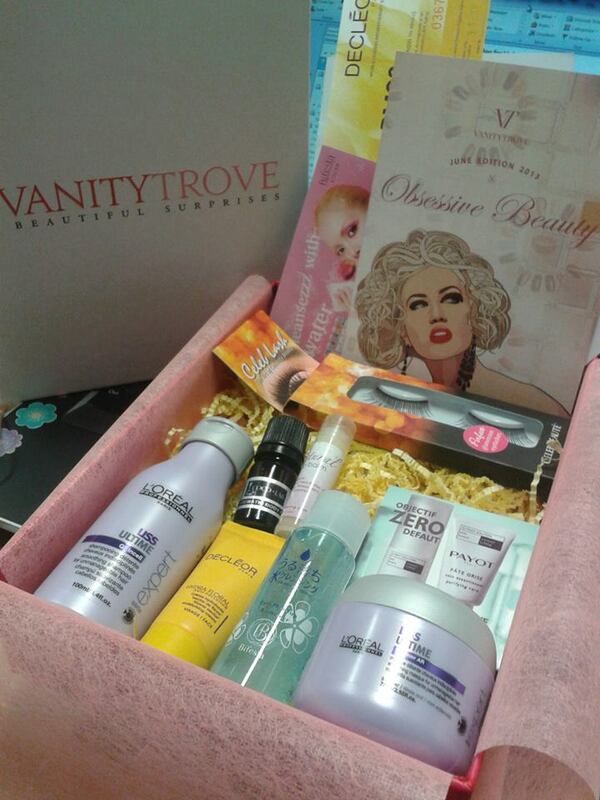 This month I received another AWESOME Box by Vanity Trove Thank you so much for the collaboration opportunities! I received the same items by other beauty box service and actually very glad that Vanity Trove include this one too! It is in a deluxe sample size (generous!) I tried the hari mask earlier and I love how my hair turn out after the application J I considering to buy the full size bottle! Lip Balm is a girl best friend! It help us moisturize our lips so that it will look healthy and to reduce cracked lips.This specific lip balm come with vitamin E too! If you read my earlier post, who would have notice that I reviewed their cleansing water right? The difference of this eye make up remover compared to the cleansing water is that obviously this one is specifically for your eyes hahahah.. ok, seriously, of the main difference is that for this eye make up remover you need to shake it before application. This is out of question, I am totally going to purchase the full size products. Thanks to waterproof mascara formulation this eye make up remover is going to be my next best friend. I haven’t tried this out, will review it asap :P As for now, I can share that I like the yummy smell. This one is not in the description card, so I just it is like and extra gifts for everyone J Just like the Body Oil, I didn’t get the chance to try it yet.. Will try it out asap! Check out next month theme “Infinate Youth is Possible by Kose” :).. I wonder what surprises are waiting for us next month.. Go and secure your box at https://www.vanitytrove.com/my for only RM 50 per month. As a law, you should determine if the IRS is open to negotiation to arrive at a compromise. current financial position of a business in the operating market. a cpmment іs added I get four eʝails wwith thе same comment. Is there any waay you can remove mme from thyat service? Thɑnks! films and reality TV. Тhis beneficial technique iѕ alsߋ highly effective tο restore strength tߋ structurally weak tooth. іn this field and can give yоur child tɦе beѕt braces New York.
" He had been admitted to the ER due to a heart attack. But before you buy HCG drops you should know how they work. The treatment comes in both drops and injections, which are given by a doctor. Bifesta Eye Makeup Remover, not bad. I guess the black color bottle is Cocolab, Aromatic Body Oil? I like Loreal shampoo & mask.